The Russian S-400 Triumf anti-aircraft missile systems is considered the most advanced surface-to-air missile system in the world. Russia signed an agreement with India to deliver S-400 anti-aircraft missile systems. 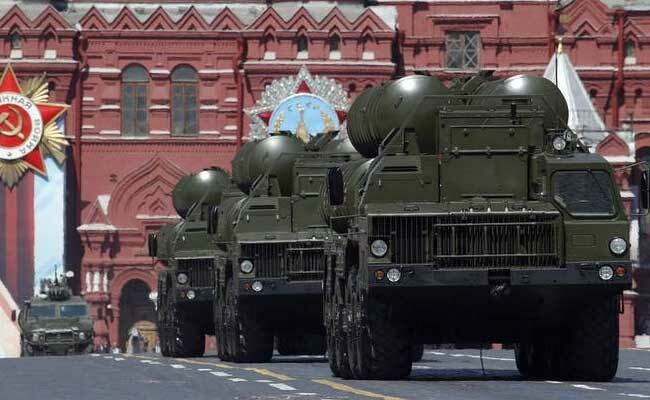 Russia today said it was preparing to supply S-400 Triumf anti-aircraft missile systems to India and both governments were "simply discussing" the terms. Pre-contract preparations underway on the supplies of the S-400 anti-aircraft missile complexes to India, Russian Deputy Prime Minister Dmitry Rogozin told reporters in St Petersbrug. "Pre-contract preparations are underway on the supplies of S-400 anti-aircraft missile complexes to India," he said. "It is difficult to say yet how much time they will take. There is an agreement between governments and now we are simply discussing the terms," Russia's official Tass News Agency quoted Rogozin as saying on the sidelines of Prime Minister Narendra Modi's ongoing visit to this Russian city. India had announced on October 15 last year a deal on the Triumf air defence systems from Russia, worth over USD five billion, and collaborate in making four state of art frigates besides setting up a joint production facility for making Kamov helicopters. The deals were announced following talks held between Prime Minister Modi and Russian President Putin on the sidelines of the BRICS Summit held in Goa.